An established pop-up gallery by the River Colne in Wivenhoe, Essex showing a broad selection of work by local and national artists and makers. 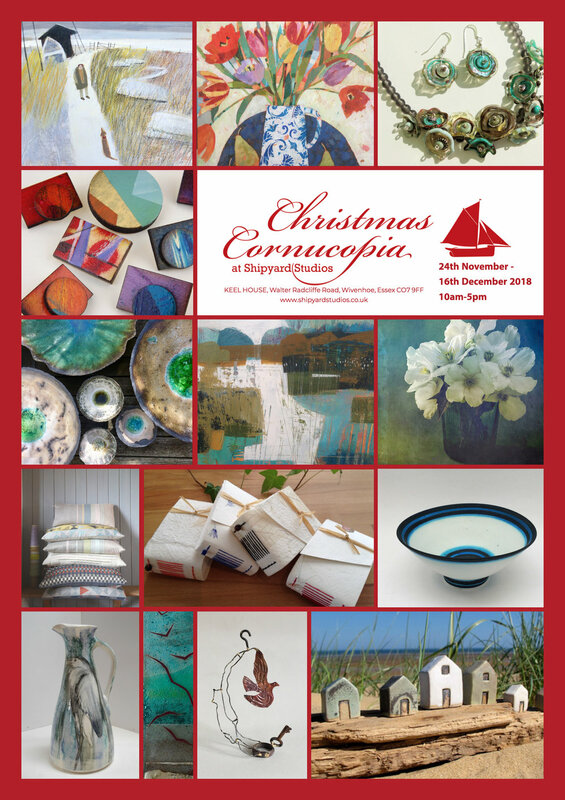 Now in its 8th year, the Christmas Cornucopia returns with its usual sparkle. Over 30 artists and makers will be represented with paintings, prints, textiles, glass, jewellery, wood, sculpture, ceramics, clothing, mixed media and more. It promises to be the best place to find unusual and unique gifts for friends, family and yourself! Watch out for roadworks which may delay your journey - St Andrew’s Avenue (A133) at the Ipswich Road (A1232) interchange is problematic so try and avoid this route.